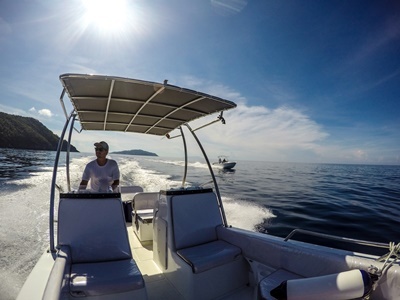 Established in 2009 the Philippine boat builder Trevally Boats was born out of a need for a seaworthy, durable and efficient boat that would facilitate one of the company’s founders requirements for a craft that would take him around the Philippine islands safely, efficiently and comfortably. As many good things in life the company came about completely unintentionally. The search for this elusive seaworthy hull led to the creation of a company built around manufacturing top quality deep V boats that will not just take you out safely on a calm day but allow you to still enjoy the sea even when other boats start to seek shelter. Now having committed ourselves to being a top quality Philippine boat manufacturer we have translated the demands that the ocean places on boats and build our vessels accordingly so when your out there you know that you can rely on the hull beneath your feet.